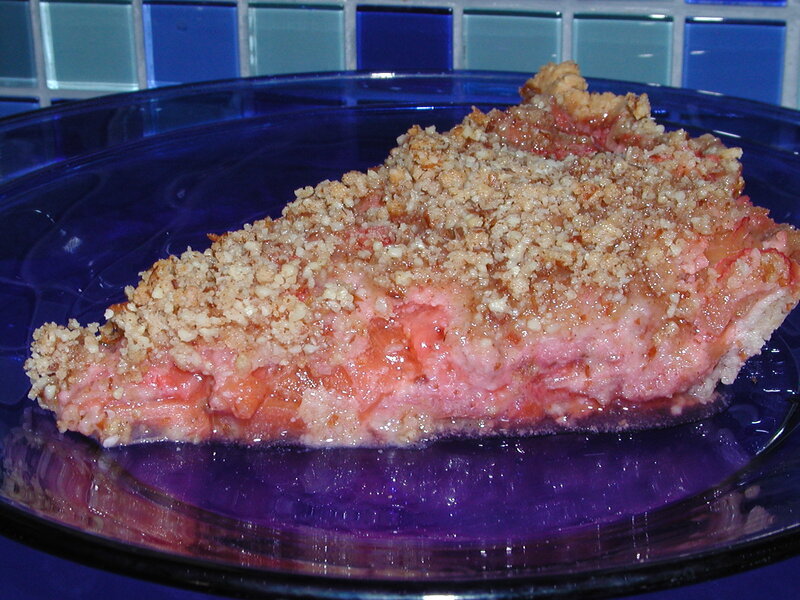 Combine rhubarb, strawberries, and 1/4 cup raw honey. Divide combination into two pie crusts. Mix almond flour, 1/4 cup raw honey, lard or butter, and cinnamon. Top pies with mixture. Bake 35 minutes at 350 degrees Fahrenheit. Enjoy!